The fun will be limitless in this 2019 Heartland Cyclone 4270! Here at Lakeshore RV Center, we want to see all our customers realize their dream of owning their ideal Toy Hauler! 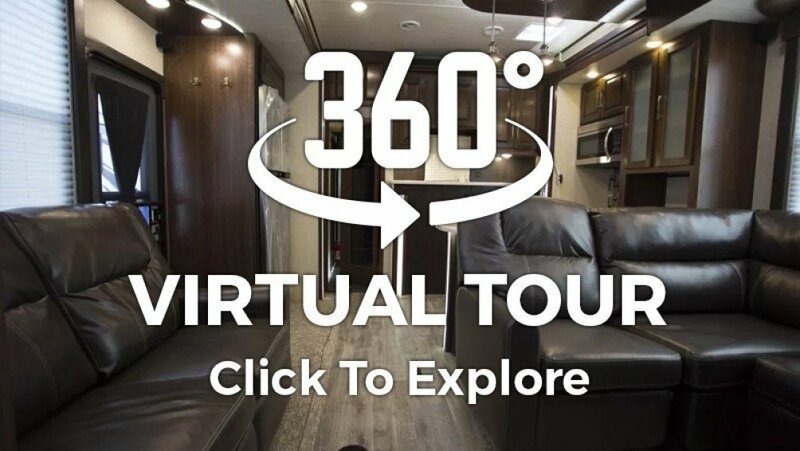 You'll make lasting memories in this 2019 5th Wheel Toy Hauler from Heartland! We're the #1 RV dealer in Michigan, located at 4500 E Apple Ave Muskegon Michigan 49442. 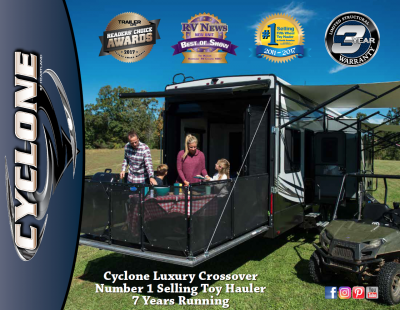 We guarantee your satisfaction, from that first step inside this terrific Toy Hauler to the final purchase. Best service after the sale too! 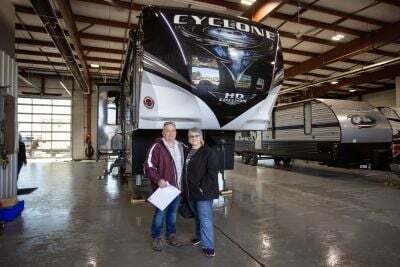 Come in today to Lakeshore RV Center and drive out with your dream Cyclone! Towing this Toy Hauler is not an issue, with its hitch weight of 3810 lbs, dry weight of 17455 lbs, and GVWR of 20000 lbs. Enjoy some much-needed shade outside with the 19' 0" awning! 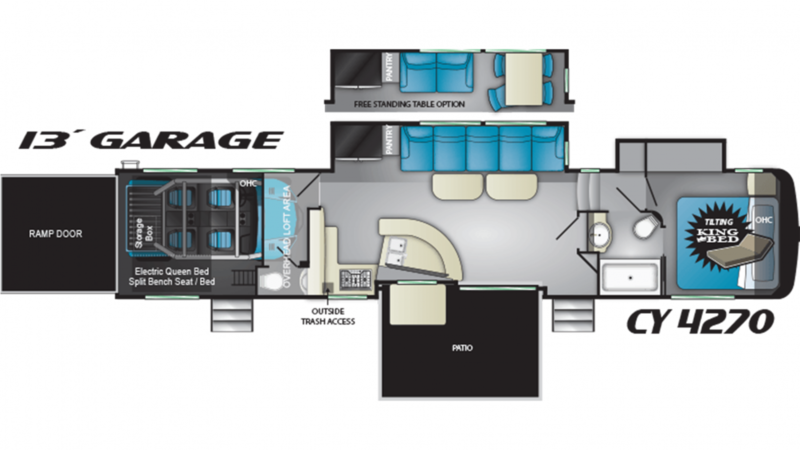 The interior of this Toy Hauler is stunning. There's ample headroom because the interior is 13' 0" tall and it's a roomy 8' 5" wide. You'll have plenty of space for indoor living when the weather isn't accommodating. If it's hot, you'll stay cool with the 15000 BTU air conditioner, or cozy and warm with the heat from the 35000 BTU furnace. You'll sleep like you're back at home with the master bedroom, which has a comfy King bed! This cozy camper can sleep up to 7 people! When it comes to what's for dinner, you have options! The kitchen offers multiple modern appliances, including the 18.00 cu. ft. refrigerator, 3 burner range cooktop, and more! There is a 100 gallon freshwater tank, so you can enjoy water to clean, drink, and cook with all vacation long! Step inside the bathroom and you'll find a Porcelain Foot Flush toilet and a shower. The gray water tank can contain up to 80 gallons, and the black water tank has space for 80 gallons. Showers stay hot all vacation long with the 60 lbs. of LP tank capacity! Don't worry about whether your toys can make it to their destination! There is a 13' 0" garage and a cargo capacity of lbs, allowing for heavier toys to tag along for the ride! Enjoy campsite parties and get-togethers on the patio deck! Even when the master bath is occupied, you won't have to wait for relief. Just head on into the handy half bath with its own sink and Porcelain Foot Flush commode! Enjoy convenience, comfort, and privacy! Hidden up above is the loft bed! Your kids or guests can climb up for a good night's rest in comfort and privacy!